Daoyin Yangsheng Gong is a traditional health gymnastics, a method of daoyin created by Beijing Sport University. 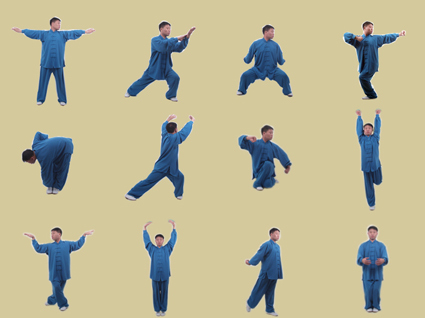 Health Qigong·Daoyin Yangsheng Gong 12 Methods, a selection of 12 movements from more than 50 sets of Daoyin regimen exercises, is a meridian Daoyin method to improve the function of Zang-fu(five solid organs and six hollow organs), and health care for both cure and prevention. Health Qigong·Daoyin Yangsheng Gong 12 Methods, is not only filled with rich cultural connotations, but also simple and easyto-learn, and suitable for different groups of people. Long-term practitioners can enhance cardio-pulmonary function, body shape, flexibility, balance, coordination, as well as their self-regulating capacity of the nervous system. Last one：Health Qigong · Shi Er Duan Jin Next article：No la!